Neuropathy, Fibromyalgia, Parkinson’s, Alzheimer’s, Dementia, MS, poor balance, strength, posture, gait and more. We offer in-home, geriatric and rehabilitative personal training designed specifically for older adults. We specialize in working with non-infectious health conditions that impair physical and cognitive function. Based on a broad spectrum of exercise modalities and body/mind disciplines, we bridge the gap between recreational fitness programs and medical rehabilitation therapy. Our practitioners are Cooper Institute Certified Personal Trainers* who have completed an additional educational curriculum in geriatric health, physical and mental disabilities, rehabilitation concepts and our proprietary methodologies for improving strength, balance, motor-control and mental acuity. Working in consultation with our client’s doctors and therapists, we create individualized programs for rehabilitation aftercare and ongoing wellness. *BEST For Seniors personal trainers are not physical therapists. We offer rehabilitation after-care for those who have been discharged from therapy. Continuation of exercise after therapy maximizes probability of full recovery from illness or injury and pain-free movement following hip, knee or shoulder surgery. Falls are the greatest danger for seniors. Our specialized balance training program is designed to improve your stability and gait. Learn to move safely when doing everyday things. Regain your self-confidence. You may even be able to resume favorite activities you gave up for fear of falling. We can help manage symptoms of early Alzheimer’s, Parkinson’s, dementia and MS with our proprietary program that supports physical and cognitive function while reducing anxiety and depression. BEST For Seniors’ comprehensive fitness program can improve your strength, stamina, flexibility, range of motion, coordination and reflexes. The program features our unique Isometric Range of Motion™ method of strength training designed specifically for seniors. BEST For Seniors programs are designed to equip you with the physical ability and mental acuity necessary to perform Activities of Daily Living (ADLs) at the greatest possible level of independence. BEST For Seniors coaching can make it possible for you to stay in your home or an independent living retirement community – rather than a more costly assisted living or nursing home. 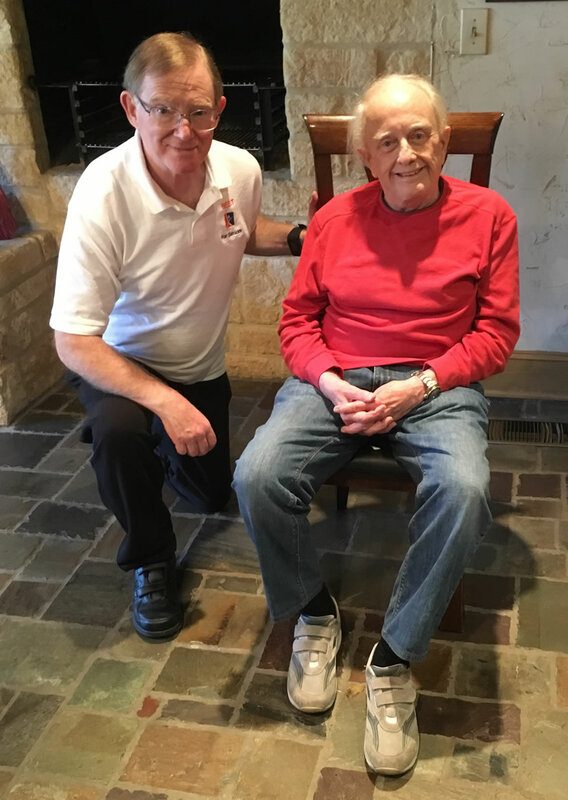 For a free telephone consultation, please contact Ron Stein at 214-519-3280 or ron@bestforseniors.org.